Volcano Activity in Mexico on February 21 2019 06:27 AM (UTC). 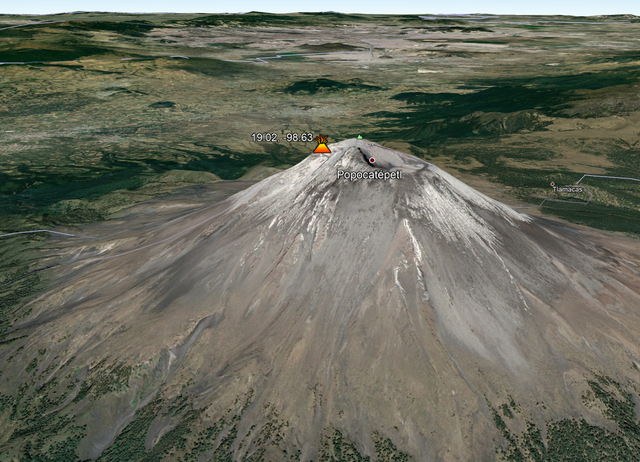 Authorities are on alert after the detection of new activity at the Popocatepetl volcano. The national Civil Protection agency released a report yesterday that revealed the discovery of a newly-formed dome in the crater of the volcano, which spans approximately 200 meters in diameter. The report predicted that the formation could spell ash falls in the days to come. "The next several days could see more episodes of growth in dome No. 82, which would imply activity similar to that of last Thursday, February 14, or similar to that observed in earlier events." Last Thursday, El Popo, as it is also known, erupted in a series of explosions that shot fragments of molten rock from its crater to land a relatively short distance away. The scientific volcano committee also held a special meeting yesterday to review the developments in the volcano's activity. The committee warned of the possibility of a more serious scenario: a powerful volcanic eruption that could send bits of molten earth to land a much farther distance away, along with a choking, several-kilometer-high column of ash. The organization's scientists cited previous occasions in which similar activity foretold such an eruption. Despite the formation of the dome inside the volcano's crater, authorities have not increased the volcanic alert from Yellow Phase 2. The scientific committee, affiliated with the Civil Protection systems said it was in a state of alert and will remain in constant contact with corresponding authorities in Morelos, Tlaxcala, Puebla, Mexico state and Mexico City.